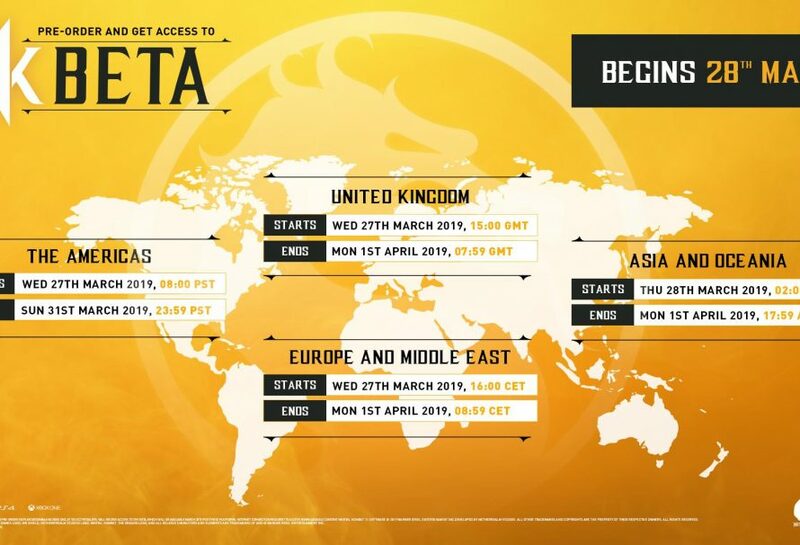 As we are nearing the release of Mortal Kombat 11, NetherRealm Studios and Warner Bros. released today new details about the upcoming closed beta that will start on March 27. Players who wants to participate in the closed beta can do so by pre-ordering the game. A code will be sent out for those who pre-ordered the game. It will start on March and will end on March 31. For those who missed out on last week’s news, three characters are confirmed to be coming to Mortal Kombat 11; Cassie Cage, Jacquie Briggs, and Erron Black. · Cassie Cage, the commander of an elite Special Forces unit and daughter of the iconic duo, Sonya Blade and Johnny Cage, employs her lethal fighting skills to win every battle, with a relentless drive to measure up to her parents’ legacy. Additional gameplay featuring Cassie Cage will be showcased today, March 6, at 3:00 p.m. CST, during this week’s Kombat Kast on the NetherRealm Twitch channel. · Jacqui Briggs, a competitive fighter trained in kickboxing and martial arts, follows in the footsteps of her father, Jax Briggs, as a member of the Special Forces. Shebelieves her duty is to protect Earthrealm and her family, no matter the risk.